Since Ai Wei Wei’s detainment in 2011, the international arts community has been looking for a way to understand better the spirit of dissent and antagonistic non-traditionalism that seems to characterise contemporary Chinese art. In an attempt to locate these strands in a shifting socio-political climate, the Hayward Gallery and the Southbank Centre, ever keen to engage with transience and change in their artistic programme (I’m thinking here of the thematic festivals that form the backbone of the Centre’s annual offering), have opened the first major exhibition to focus solely on contemporary performance and installation art from China. Work from nine contemporary artists active in the last two decades is presented together, to consider themes of process and on-going transformation in both a site-specific and general way. 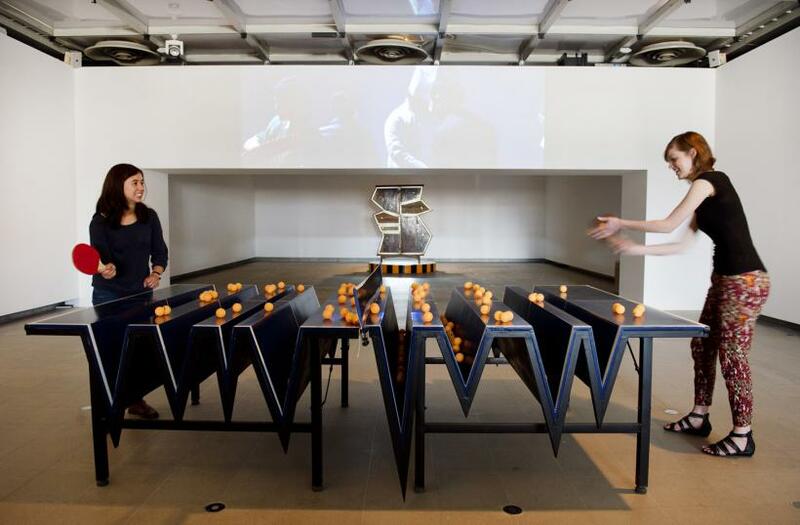 Site-specificity plays out in works that alter in appearance over time, or are interactive, volatile and ephemeral: the first work to confront the viewer is Xu Zhen’s ‘Untitled’ (2007), a selection of fitness machines that are operated by the viewer via an exertion-free remote control. Sun Yuan & Peng Yu’s leaning tower of human fat - ‘Civilisation Pillar’ (2001) - is constructed from siphoned-off fat, extracted during liposuction treatments. Liang Shaohi’s beautifully woven web constructions are co-authored by silk worms. Materially speaking, the space is unsound: a conservator’s nightmare. But the work is profound and says something more general: vanity, and the nature and passage of time are not small artistic preoccupations. In fact, they are amongst the most trumpeted of the more familiar Western art-historical themes. Elsewhere, the works confront notions of wakefulness and sleep, the creative process and the participatory role of the art viewer. Even Zhen’s redundant gym equipment seems to address ‘wei wu wei’, or ‘action without action’, a fundamental principle in proverbial Chinese discourse, but it could easily be seen as commentary on the something-for-nothing culture we hear so much about. Of the nine presented, most of the artists here are looking for new ways to express themselves as well as reconfigure materials and themes. It is obviously not irrelevant that China is a country undergoing dramatic transformation, and artists, as others, have been deeply affected by such change. 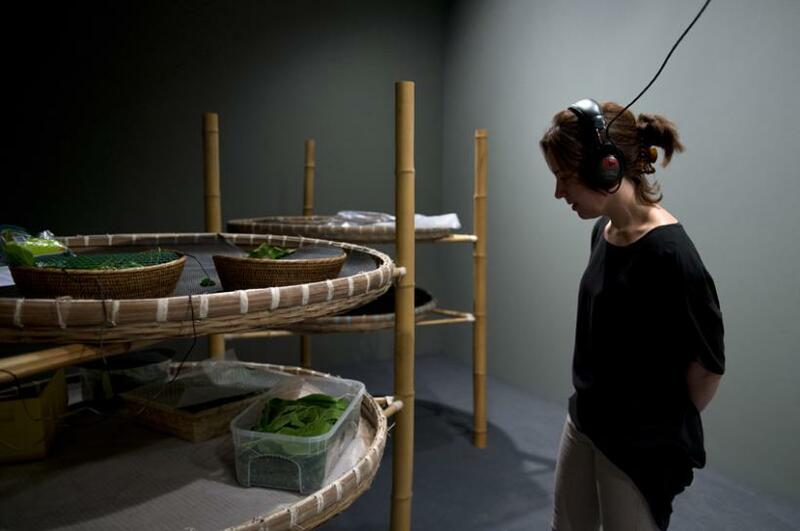 The mid-1980s and 1990s brought with it a State rejection of much experimental art, and many of the avant-garde set that had been at the helm of a previously more open and progressive Chinese art scene left the country. 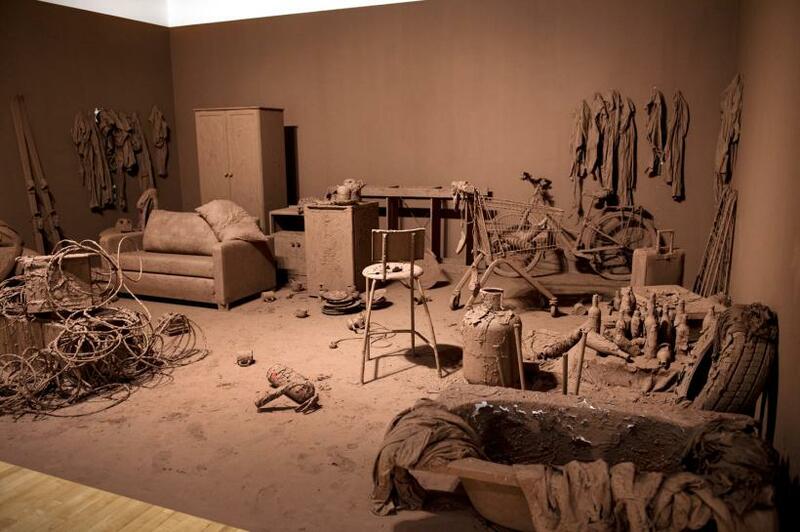 For the Chinese contemporary artist that remained, it mattered less what the work looked like in the end, and more if and how they might get to finish a project. MadeIn Company, a creative corporation established by Xu Zhen, is a collective of artists, technicians and administrators that still operates in this way, embracing process and project over finish and presentation. 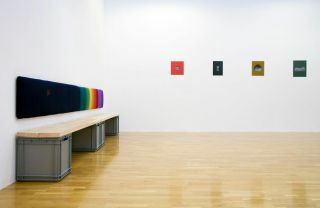 The corporation is represented in the Hayward show by several on-going artworks. 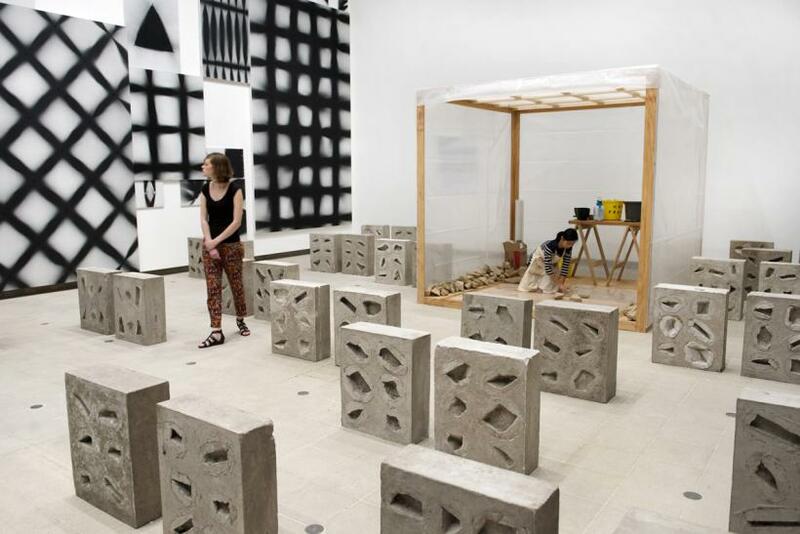 In ‘Revolution Castings’ (2012) concrete ‘memorials’ are cast on site and include contributions by visitors to the gallery. The on-going creation of an artwork is then the whole creative output, meaning the work deftly sidesteps the traditional mechanisms of both critique and the art market. 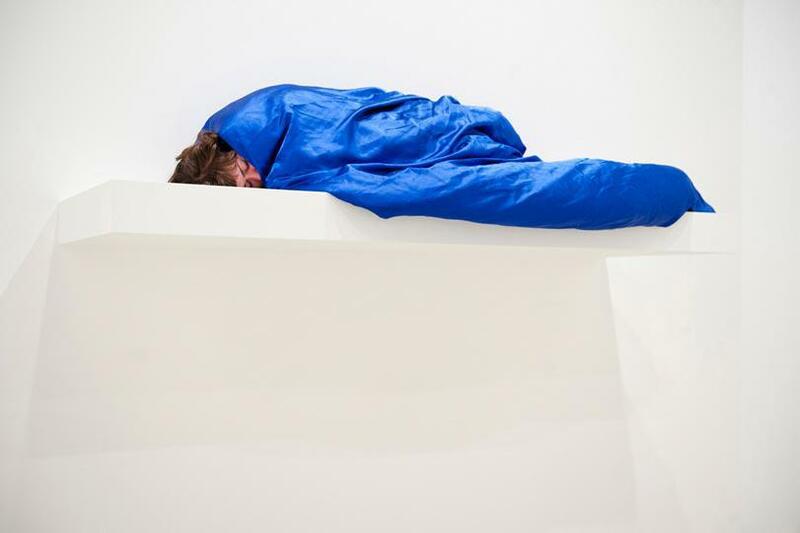 A middle space of three sleeping performers, for works entitled ‘Sleeping’ ‘In Between’ and ‘Patience’ (2004/2012), surprises. 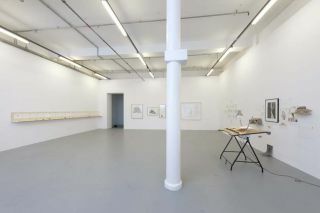 Each scenario involves interaction between the body, and white shelving fixed to the gallery walls. The artist, Yingmei Duan, explains that her concepts explore the fleeting visions experienced in the gap between wake and sleep, and that ‘sleep brings me many of my creative ideas’. The work seems to explore another threshold: that between socio-cultural acceptance and marginalisation. It could perhaps also be applied to the margin between comfort and discomfort in the viewer as they encounter a dreamscape slap bang in the middle of the contemporary gallery space. 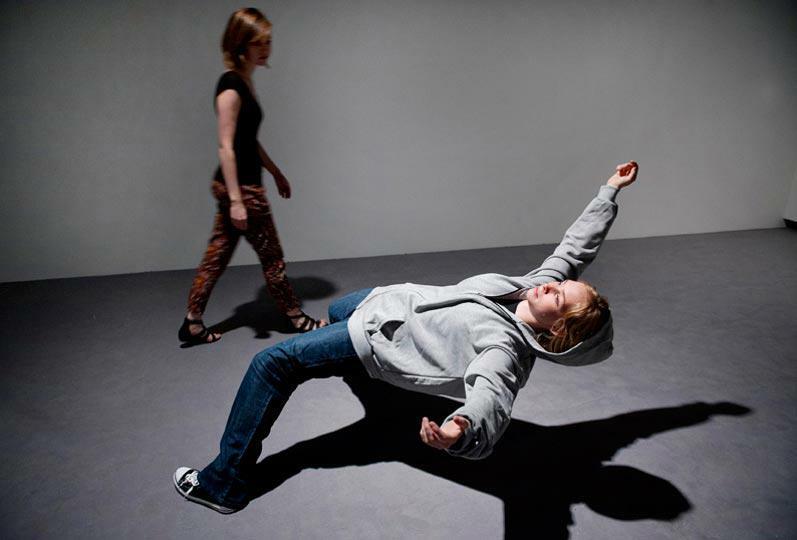 The best work in the exhibition is Xu Zhen’s illusory ‘In Just a Blink of an Eye’ (2005/2012), the striking image of which is used for press and publicity materials produced by the Southbank for the show. In it, a person, dressed in what can be described as contemporary urban attire (all parka, tracksuit and canvas high-tops), appears suspended in mid-fall, no strings, no wires, no anything. Faced with this odd and transfixing work, social vanities and failings resound, and though they are often seen in a Western framework, they are here posed as an Eastern question. 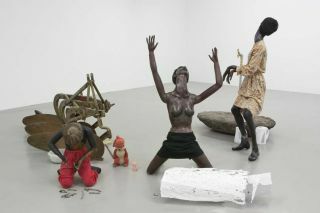 ‘The Starving of Sudan’ (2008), nearby, poses altogether different, and serious, questions about moral decline, human exploitation and the limits of voyeurism in the art gallery. An interactive digital archive forms an axis for this exhibition, available for browsing or for in-depth study. 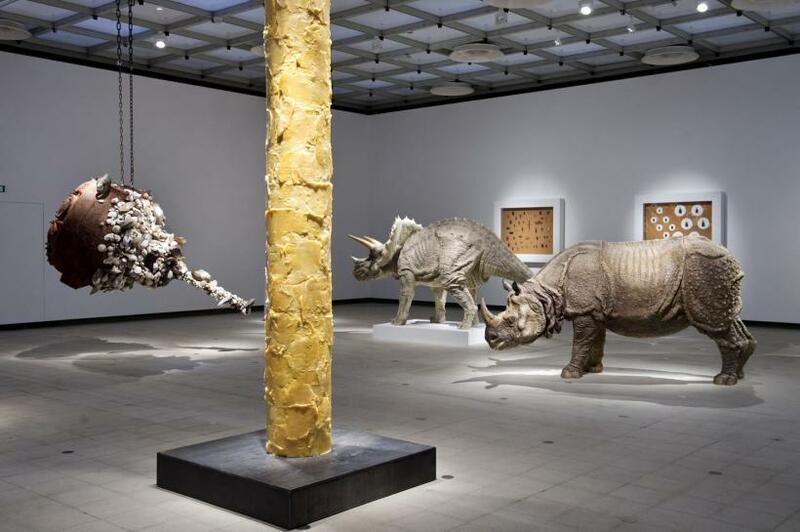 Structured around a sequence of some 130 key events, exhibitions and performances, it aims to anchor contemporary Chinese art in a sweep of other cultural development and a broader context of artistic production. If a major aim of the curators of this show is to reposition such production in a framework that is understandable, rather than unintelligibly rooted in something ‘other’, for Western gallery goers, it does put the viewer back in control. As Xu Zhen points out, ‘people have to decide where they stand’.